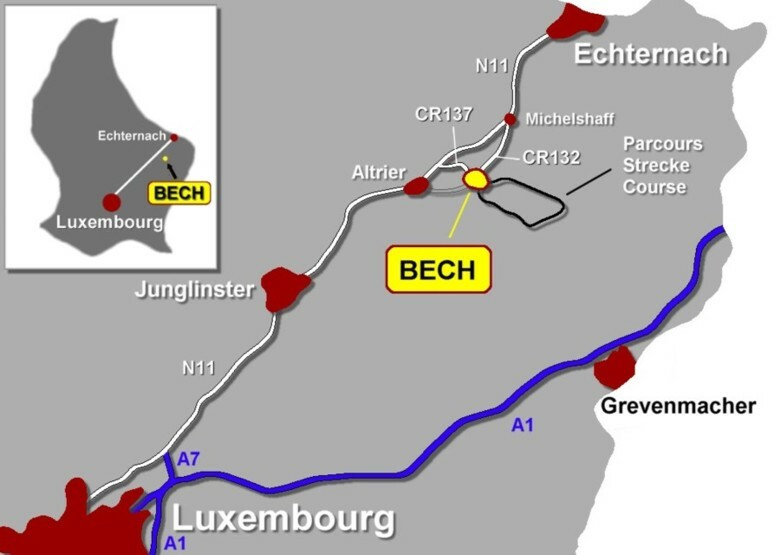 Bech is located at around 30 kilometres North-East of Luxemburg-town and 10 kilometres away from Echternach. To arrive there, you can take the National road N11 linking Luxemburg-town to Echternach. About one kilometre behind the village of Altrier (coming from Luxembourg), you have to quit the N11 to your right and take the CR137 going to Bech. Coming from Echtenach, you can take to your left after around 5 kilometres on the N11 (at the place called Michelshaff) and then ride on the CR132 in direction of Bech. 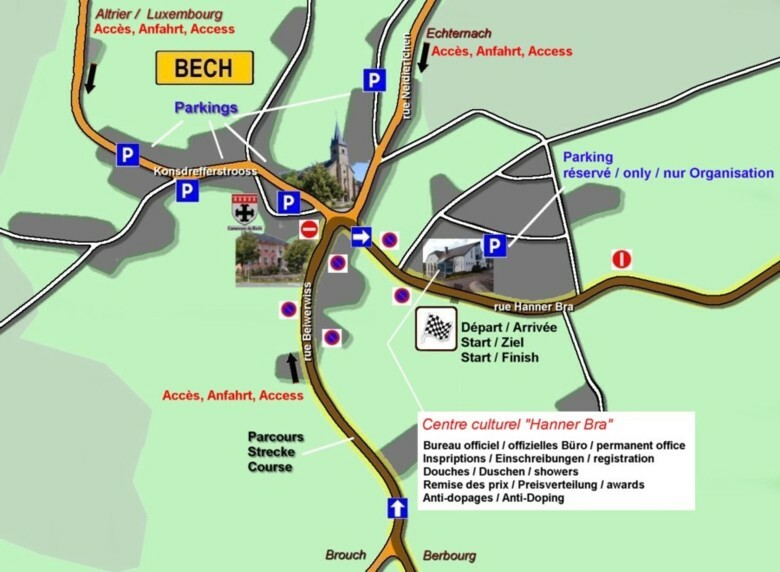 Start and Finish are located in the rue Hanner Bra in Bech, next to the Cultural Centrum. Rider and Spectator parkings are located in and around the Konsdreferstrooss (CR137), along the side of the road. The small parking behind the cultural centrum "Hanner Bra" is dedicated to the official cars and the organization. It is strictly prohibited to park a car on the race course or to ride on the course in the opposite direction than the race. Please respect strictly the traffic signs.